Turkish intelligence agency “National Intelligence Organisation” (MIT) is planning to procure an intelligence gathering ship. The ship will be maned and maintained by Turkish Navy but the operators of the intelligence gathering section will be MIT staff. In January 2012 the main Turkish signals intelligence (SIGINT) organization, General Staff Electronic Systems Command (GES) was handed from Turkish General Staff to National Intelligence Organisation. Thus it is not unusually for MIT to demand an intelligence gathering ship (AGI). The only purposes build AGI used by Turkish Navy was the ex German ship A-50 FGS Alster. The ship was an Atlantic trawler purchased by German Navy in 1969 and was converted to an intelligence ships. She served in Turkish Navy as A-590 TCG Yunus from 1989 until 2000. It is rumored that the Silas Bent class survey ships A-589 TCG Çeşme is used currently by Turkish Navy as AGI. The Silas Bent class were designed to be capable of surveys supporting hydrographic and bathymetric charting and oceanographic requirements for US Navy. Thus TCG Çeşme has extensive underwater survey ability, but it is not known her over water SIGINT capability. In the “Annual Report 2011 Undersecretariat for Defence Industries” published in April 2012 it was mentioned that a feasibility study for the construction of an intelligence ship was initiated. And two weeks ago, during the 5th Naval Systems Seminar one of the future procurement projects for Turkish Navy was an SIGINT ship with an estimated cost of 120 million USD. The Turkish military electronics company Aselsan has a wide range of SIGINT solutions for the use of the land forces. The company also produces ARES-2N naval electronic support system. I assume once the shape of the hull and her propulsion is decided the electronic direction finding and intelligence equipment of the ship can be adapted for maritime use by Aselsan from their existing product portfolio. 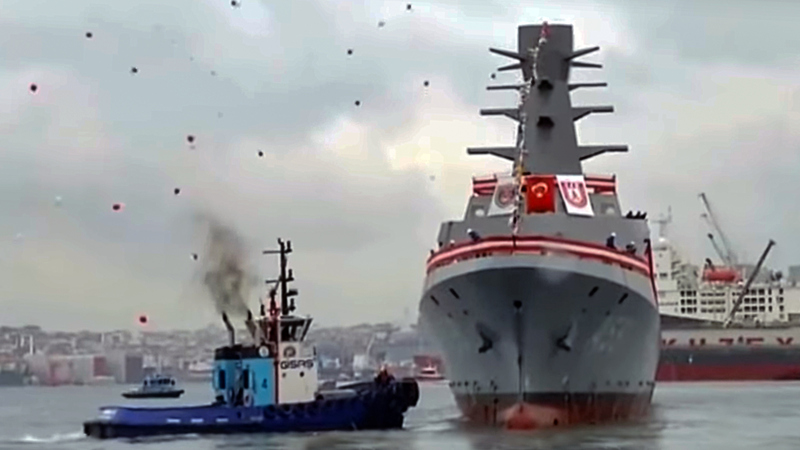 Now it is a little bit early to tell whether the intelligence ship for MIT will be an addition to the ongoing project for the Turkish Navy or will it be the same ship. But the project has started and Turkey definitely needs an intelligence gathering ship.